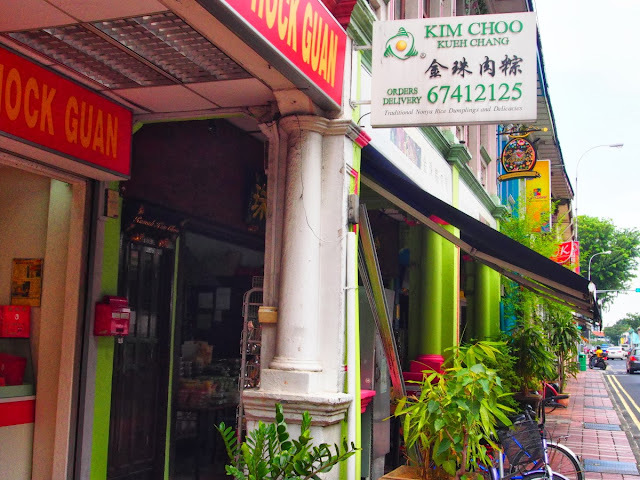 Staying in Katong, far away from the hustle and bustle of busy tourist area, it would be silly not to explore the area. 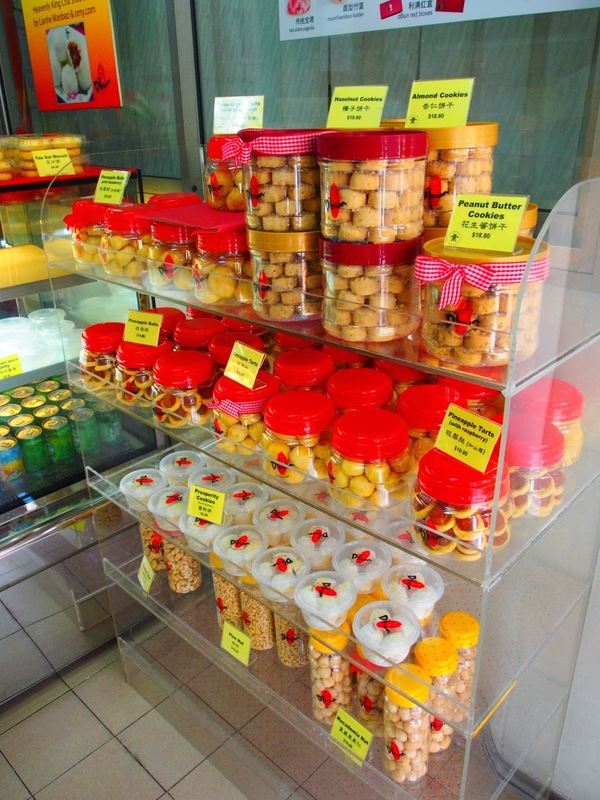 Especially when this suburb is associated with a lot of good food. So off we went to hunt for local delicacies Katong has to offer. Of course, I already sampled a bit on our first day, and so we just needed to walk around a bit to have the rest of them... . Armed with our Google Map app on our iphone, thus we embarked on a tummy fulfillment journey... . 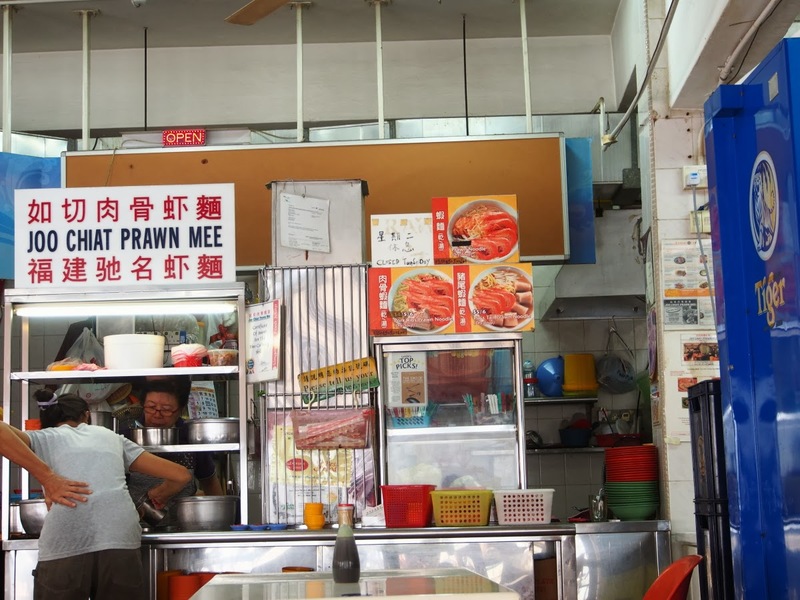 Both 1/2heart and I agreed that this was indeed one tasty prawn mee. You could really taste the prawn-ness in the soup (if you have been reading my blog, you know I tend to create my own words... heh...). 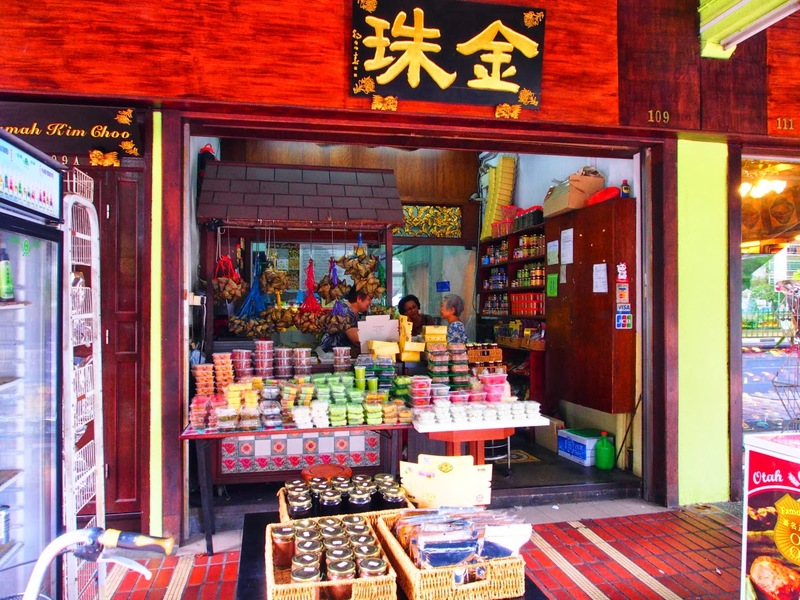 Then off again we walked about 5 minutes towards Mr. Teh Tarik (970 Geyland Road. We had cold Teh Tarik SG$1.90). 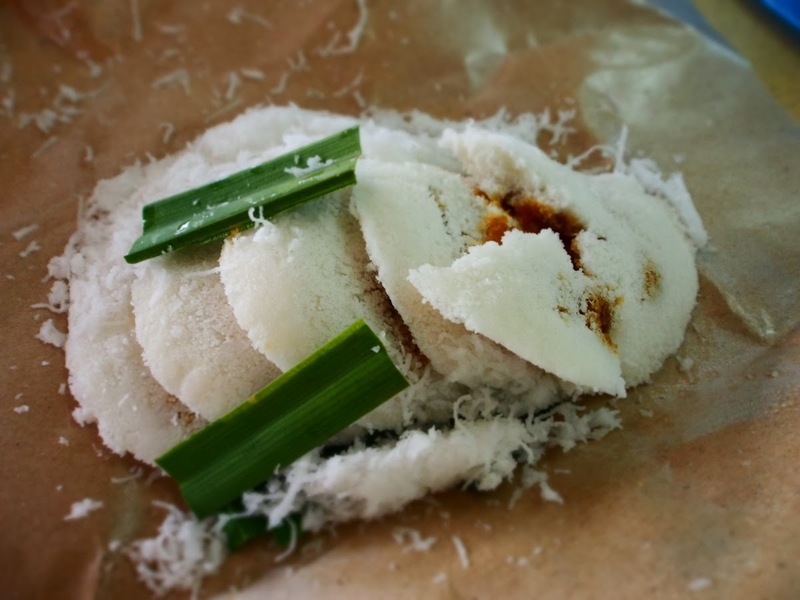 This small food complex also has a stall selling Putu Piring - similar to the one we had in Malaysia (SG$2 for 5 pieces). 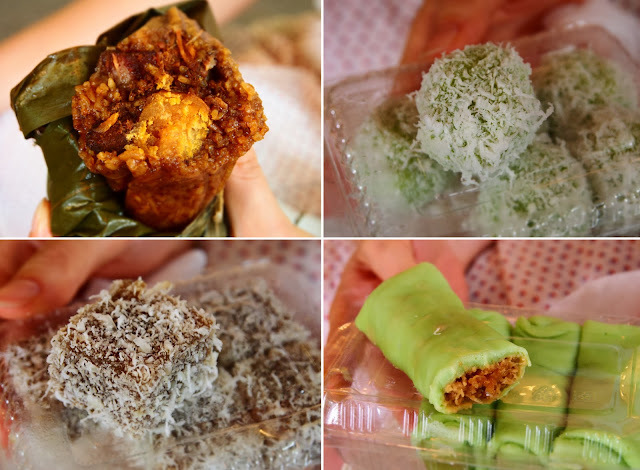 Putu Piring was OK, I prefer the Indonesian version where the cakes are usually steamed in bamboo, resulting in cylindrical shapes filled with gooey gula melaka goodness. However, the Teh Tarik is worth mentioning here. The taste was strong (despite us ordering the cold version and hence was diluted along with the ice), and easily the best Teh Tarik we have had by far. 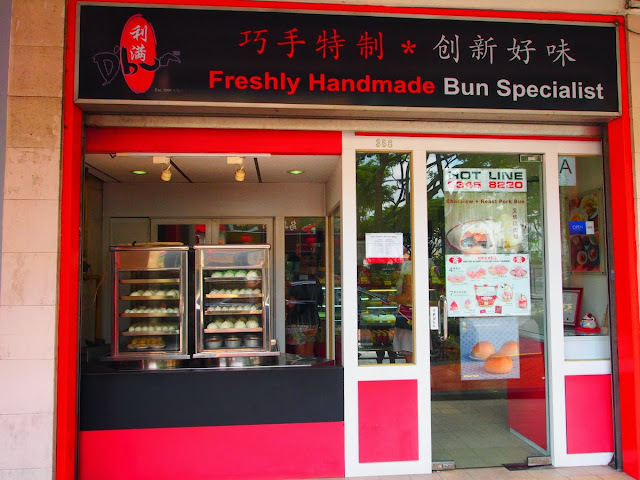 Satisfied with our 'snacks', we headed back to the southern side towards D'Bun Pte Ltd (358 Joo Chiat Road). 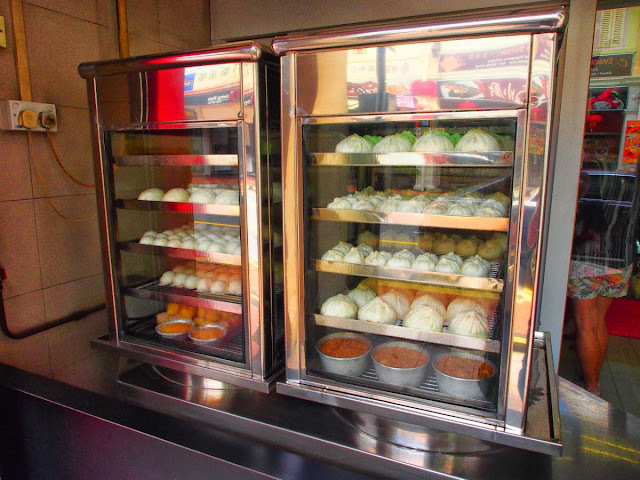 Bloody hell, how can I ever order bao's again in Sydney without lamenting about D'Bun's. This place sells yummy ones. With heavy heart as we knew our tummy space was limited, we purchased only 3 kinds: Char Siew, Pork with Egg, and Char Siew & Braised Pork. All were yum. 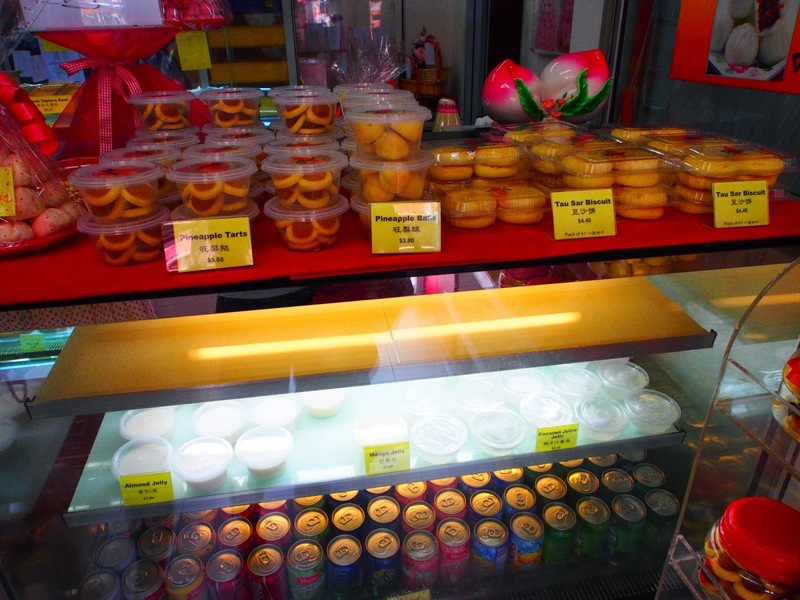 Next stop was to Kim Choo Kueh Chang (111 East Coast Road) - a shop selling various nonya kuehs/cakes and Sticky Rice Dumplings. 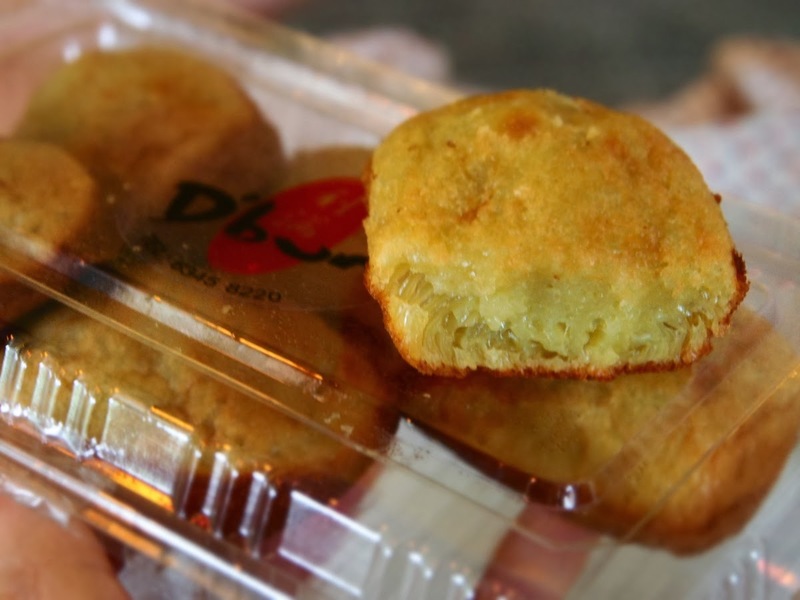 The sticky rice dumpling we had (with egg yolk) was incredibly rich, fatty, yummy... . If I could give my toes up in addition of my thumbs - I would! 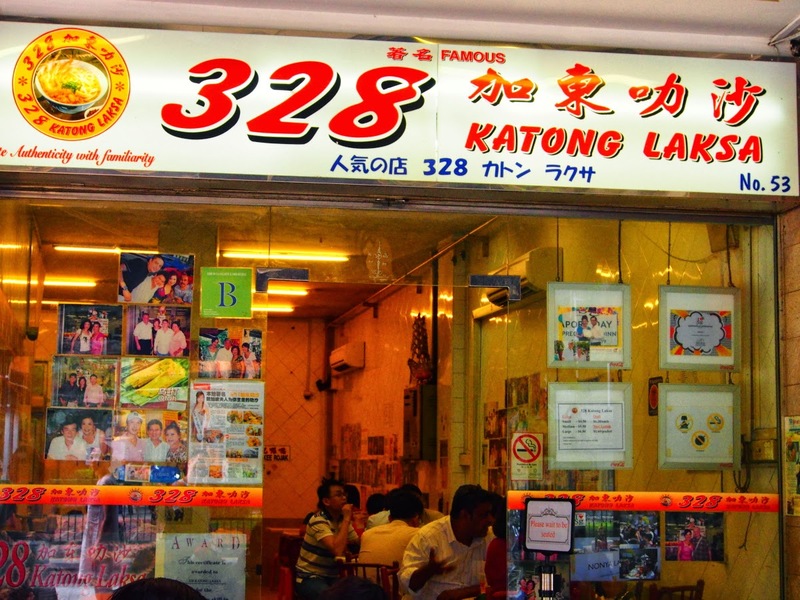 If you were at Katong and did not try a katong laksa, you're nuts. 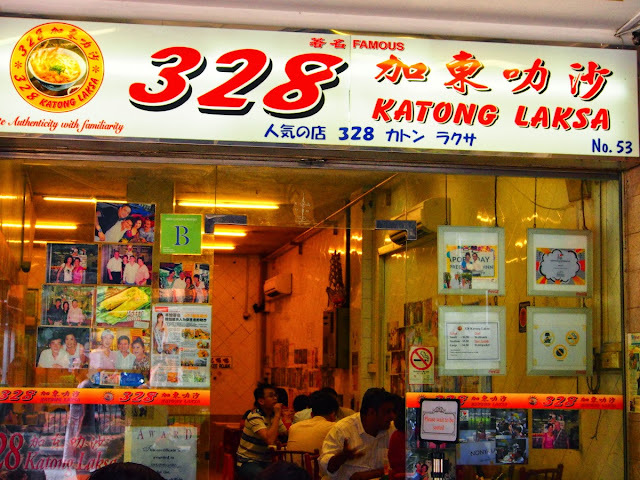 We headed to a place set as a benchmark for katong laksa - the famous 328 Katong Laksa (51-53 East Coast Road). 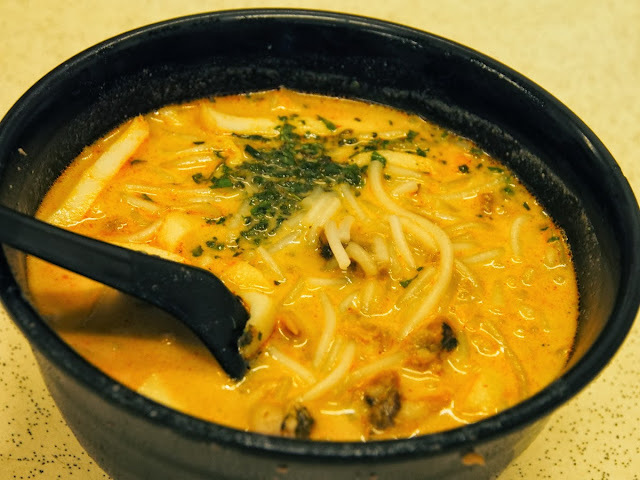 The place is air-conditioned, so patrons could enjoy their laksa without bucketing sweats. There are a lot of pictures of the lady-owner posing with celebrities and famous figures adorning the wall inside. We had our laksa (small size, SG$4.50) with cockles as we felt it would add to the flavour (you can opt for it to be without). We were right. However, the laksa would be nothing without the sambal that easily added more depth and taste to the creamy soup. So, is it worth the hype? Certainly. 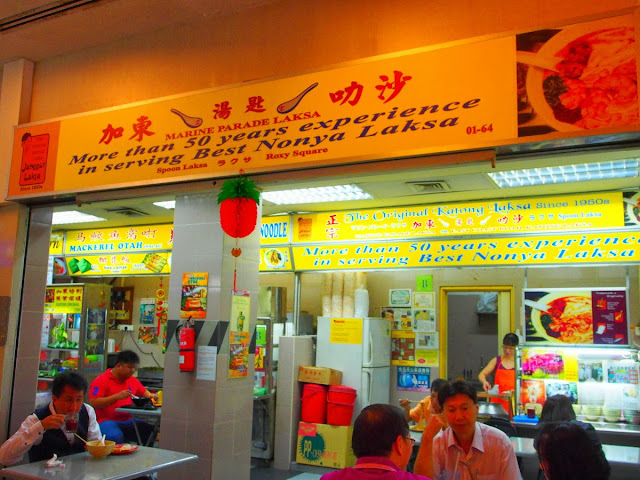 But hold your breath, because we had a slightly better laksa at Janggut Laksa (small size SG$3.50), just across the road, located at #01-64 of Roxy Square (50 East Coast Road). 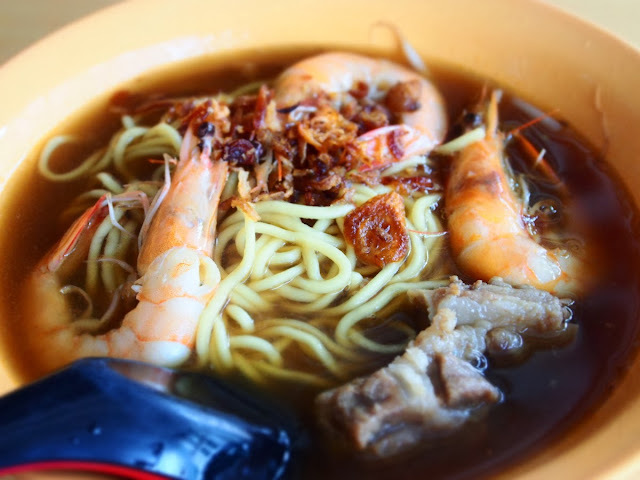 The soup was slightly thicker and had that tasteable coconut oomph, and instead of cockles, the laksa had some prawns in it. Again, don't have it without the sambal. 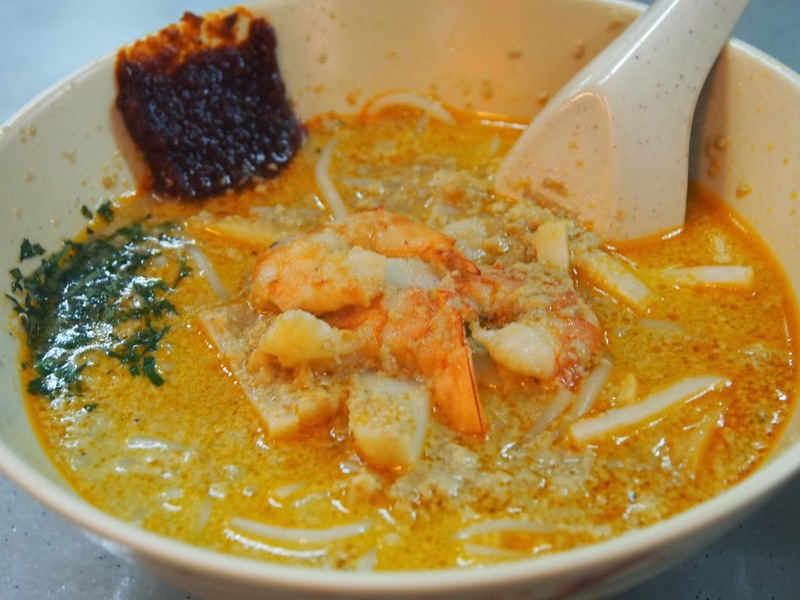 This would be my favourite laksa of all times. With our tummy ready to burst, we finished our food journey in Katong (for now), and headed to Marina Bay Sands to visit Garden By The Bay. We find that your entries about your exciting travels in Singapore would be a great addition to the Singapore Memory Project. The day 7 in Singapore seems to be the exciting one. there are lots of fun things that you have tried out of which one if tasting different cuisines.